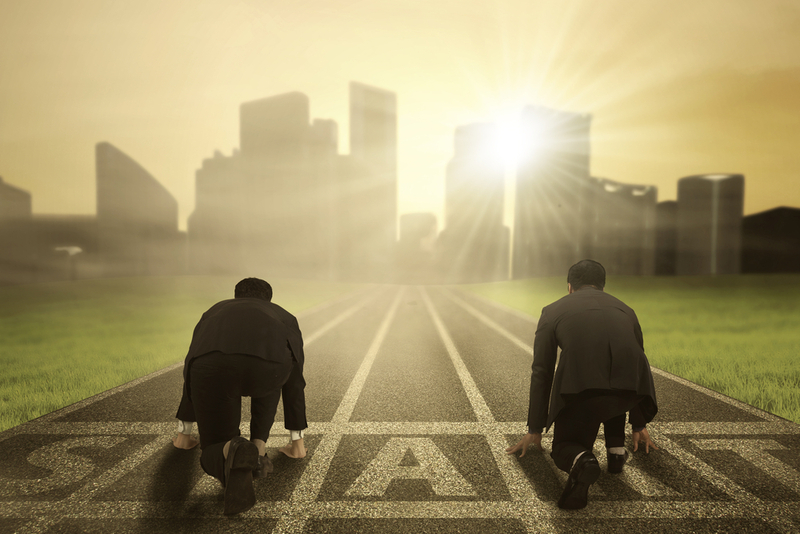 Tired of scrambling last minute to find ways to blow your competitors out of the water? Deep competitor research is what you need. Here's how it helps you win more customers. Oh, holy mother of cheese! A new competitor has come into town. Panic begins to set in. All the soul-crushing self-doubt weighs heavy on your mind, waking you in the middle of the night. What am I gonna do? How will I keep my customers? The constant questions and uncertainties continue to plague you. These are the real monsters that go bump in the night. When you’ve been in business for a long time, it’s easy to get complacent. Often times, we hear business owners say, “Well, this has worked for us over the past 15 years,” and reject any new ideas or thoughts out of fear. But what happens when a competitor moves to town, with zero fear, embracing innovative and forward-thinking ideas? It leaves you scrambling and waking in the middle of the night with a never-ending cycle of self-loathing thoughts. There’s a way to avoid this panic and fear. It’s a concept that’s been around for thousands of years. (Okay, maybe not really, but it sounded cool.) It’s called: eat the bear, before the bear eats you. What is ‘Eating the Bear’ Marketing Concept? In a nutshell, eating the figurative bear before it eats you, is continuing to innovate and think progressively on a consistent basis. You should never stop improving. Ever. The moment you get complacent and comfortable, is the moment when you allow the competition to catch up, or pass you. Think: tortoise and the hare. The tortoise kept moving, while the hare got a little too cocky and decided to sleep. You don’t want to be the napping hare. The Walt Disney Company has done an insanely great job at this. They understand their customers inside and out. They’re constantly administering research, listening to their guests, and actively implementing new concepts and ideas. They’re never stagnant. This is why other theme parks can’t even touch the brand value that Disney offers. There’s a cult-like loyalty around the Disney brand, and it’s cultivated through their innovation, nostalgic branding, and constant movement. How Do I Eat the Bear? How they’re interacting with their customers, both in reviews and on their social media channels. How they’re positioning themselves in the marketspace. How do you feel looking at their website? Jot down ideas you’ve got by simply looking at their marketing. Sign up for their email list and keep an eye on your inbox to see what their email marketing looks like. How are they using it? How often do you receive emails? By now, your creative wheels are definitely spinning. You can pinpoint the weaknesses in your marketing and opportunities for improvement. Grab your team, and get some creative brainstorms happening! You’ll want to make sure you leave this meeting with concrete, actionable strategies that are aligned with your brand. Your Website. Is your website producing the outcomes you’re looking for? Are you driving the right people to your website and do they find your content engaging enough to stay there? Social Media. Make sure your social media channels reflect all you show on your website. You’re able to give a deeper experience into your company, its products and services through social channels, but your brand should always feel the same. Email Marketing. How can you leverage email marketing to continue the conversation with your customers both before and beyond the sale? Talk Triggers. What makes your business stand out from the rest? What do your customers talk about after experiencing your company? Think about what other companies customers are saying about them, and how you can improve their experience. Don’t be afraid to test new strategies, tactics, tools, and technology. The worst thing that happens is that you find out one way won’t work. You’ll then move on and try something new. Take risks! Invest in your business’ success.